* Associate Researcher at the Centre of European Legal Studies, Bucharest. Juris Master in European Business Law (Lund University, June 2012), Magister legum (Lund University, June 2010), BSc in Economics & Business Administration (Lund University, June 2009). On 18 June 2015 the European Commission requested the termination of the intra-EU bilateral investment treaties (BITs) concluded by Austria, Romania, Slovakia, Netherlands and Sweden. The Commission argued that due to their accession to the EU, Member States accepted that relations between them as to matters within the scope of conferred powers are, as the CJEU said in Opinion 2/13 (on EU accession to the ECHR) “governed by EU law to the exclusion, if EU law so requires, of any other law”. A common feature of the European BITs and free trade agreements (FTAs) is the presence of a clause on investor-state dispute settlement (ISDS), which may involve concerns of inequality before the law in the context of a limited access of individuals to the judicial system of the EU. Moreover, issues of substantive discrimination are prompted by a frequently reaffirmed superior level of protection of investment under the BIT compared with EU law. In 2003, the Commission, the U.S. government and the acceding states from Central and Eastern Europe – apart from Hungary and Slovenia – signed a memorandum of understanding, which aimed to eliminate the possibility that American investors would use the BITs in order to challenge regulatory or administrative measures adopted by the Member States with the aim of complying with EU law. By doing that the Commission has shown awareness concerning the imminent clash displayed by cases like Micula, Eureko or Eastern Sugar. In Micula v Romania, ICSID Case No. ARB/05/20, the relevant law is the Romania-Sweden BIT ratified in 2003, four years before the accession of Romania to the EU. The award issued in this case ordered Romania to pay damages of approx. EUR 83 million (RON 367.4 million). The facts of the case depict the pre-accession situation and the promotion of investments in specific disfavoured regions. Together with several other cases – Electrabel, AES, and EDF – Micula reflects a specific type of incompatibility: the clash between the state aid prohibition in EU law and the maintenance of a preferential regime ordered by the international investment law regime instituted by the BIT network. (For more on Electrabel, see the analysis of Matei and Ciurtin here). The incompatibility with EU law of the fiscal advantages offered to investors was established first by the Romanian Competition Council and later by the Commission and the fiscal regime was abolished before the accession. This act of abolition triggered the dispute before ICSID (the International Centre for the Settlement of Investment Disputes). The European Commission participated as amicus curiae in the ICSID-proceedings, though the arguments brought by it were not admitted. A different conceptual understanding of the principle of legitimate expectations is the main source of conflict. In EU law, a state aid measure must be notified and approved and only afterwards the beneficiary may enjoy the protection derived from the principle of legitimate expectations. In the interpretation of the arbitral tribunal, on the other hand, no matter that a state measure is implemented in breach of EU law, the investor is entitled to protection. In March 2015 a Commission Decision ordered the recovery of state aid. Romania had already paid a part of the damages awarded by the arbitral tribunal. The payment constitutes illegal state aid and it must be recovered. By complying with the ICSID-award, Romania would fail to defer to the Commission Decision. In Eastern Sugar Netherlands v CzechRepublic, SCC Case No. 088/2004, the relevant law was the Agreement on encouragement and reciprocal protection of investments between Kingdom of the Netherlands and the Czech and Slovak Federal Republic, which was ratified in 1992. This case presents a typical example of incompatibility: the clash between quotas imposed by EU on agriculture products and the requirement to maintain a preferential regime for the foreign investor. The arbitral tribunal interpreted the Vienna Convention on the Law of Treaties (VCLT) finding that the subject matters treated by the BIT and the EU law were dissimilar, the parties did not mean to terminate the BIT and the BIT and the EU Treaties were compatible. It awarded damages of EUR 25.4 million for loss of sugar quota attributable to the Czech Third Sugar Decree of March 19, 2003. The defendant argued inter alia that post-accession damages should not be made subject to arbitration, since they fell within the exclusive jurisdiction of the CJEU according to Article 344 TFEU. The tribunal noticed that the European Commission did not start infringement proceedings against the Netherlands and the Czech Republic for failing to terminate their BITs as it would have been expected, if the BIT had been incompatible with Article 344 TFEU. The argument of the defendant that the BIT had been implicitly superseded by the acquis communautaire when the Czech Republic acceded to the European Union was rejected. It must be retained that the inaction of the Commission and the parties has been interpreted by the arbitral tribunals as a tacit endorsement of compatibility. In Eureko Netherlands v Slovak Republic, UNCITRAL, PCA Case No. 2008-13, the applicable law is the same as in Eastern Sugar. Achmea, previously Eureko, is a Dutch insurer and the facts of the case refer to the liberalisation of the Health Insurance Sector in 2004. In late 2006, the newly elected Slovak government sought to reverse the liberalisation of 2004. Slovakia claimed that the arbitration clause was incompatible with EU law, while the arbitral tribunal reasoned that no provision of EU law actually prohibited investor-state arbitration. The arbitral tribunal awarded EUR 22.1 million damages. The arbitral tribunal found in its decision of 7 December 2012 that the BIT was valid and compatible with EU law and the dispute was arbitrable despite the relevance of EU law. Investors were granted more extensive rights under the BIT compared with EU law and the arbitral tribunal found that this inequality stayed in line with law. Hence, the unequal treatment of EU investors seems to be contingent to the special character of protection, which a foreign investor is habitually entitled to claim in conformity with the BIT definitions. As to the interpretative monopoly of the CJEU, the Frankfurt Court of Appeals (Oberlandesgericht) ruling on the matter of validity of the ISDS-clause in the Netherlands-Slovakia BIT found that the exclusivity enshrined by Article 344 TFEU did not cover investor-to-state disputes (see also my comments here). The German court did not refer the question for a preliminary ruling, even if the interpretation of Article 344 TFEU should reasonably have been submitted to an examination under Article 267 TFEU. Firstly, the intra-EU BITs came into existence mostly as the result of the EU accessions of 2004, 2007 and 2013, only two intra-EU BITs being concluded between old (pre-2004) Member States. Even if the incompatibility manifests itself later – at the level of litigation – thus the conflict becomes more dramatic after the accession, in substance, the incompatibility between the EU conceptual framework and the BIT philosophy precedes these accessions. Hence, it would be reasonable to ask the question why the legal status of the intra-EU BITs has not been discussed during the pre-accession period in a more transparent and well-founded manner. Moreover, most BITs contain sunset clauses that instruct an undisrupted protection in relation to investments already in effect. The termination would only have force for the future investments, since the investors may rely on the provisions of a BIT for periods of usually 15-20 years from the date of termination (see further my comments on Romania's termination of its BITs). The accession of the post-2004 Member States was not an unprepared sudden decision, but a process with a duration of 9-12 years. The incompatibility with EU law has been hanging over the heads of the new Member States as a veritable Sword of Damocles. Thus, the intra-EU BIT disputes should not be depicted as anomalies. They could have been prevented by a more pre-emptive approach. The Acts of Accession – for all thirteen newer Member States – provide that “with effect from the date of accession, [the state] shall withdraw from any free trade agreements with third countries”. According to Article 6(9) and Article 6(10) of the corresponding protocols, if an agreement signed previously cannot be brought in line with EU law, the Member State in question shall withdraw from it (see the Protocol on Romanian and Bulgarian accession). The Acts concerning the conditions and arrangements for admission from 2003, 2005, and 2012 speak a clear language. The acceding states had to denounce any trade agreement they might have concluded and become part of the free trade agreements concluded by the EU. Would it not have been more appropriate to provide a similar obligation with regard to the extra-EU BITs? Having in mind the sunset clause, mentioned above, the effect of termination cannot be direct and immediate, so an earlier handling of the incompatibility issue would have reduced the time horizon for potential disputes. It must be reminded that the previous wave of accession, when Sweden, Finland and Austria joined the EU, also generated an obligation to align the BITs signed by these countries with the obligations imposed by Article 351 TFEU and Article 4(3) TEU (see the judgments in Commissionv Austria, Commission v Sweden and Commission v Finland). The potential conflict is no novelty. The general incompatibility of the BITs with Union law – discussed below – poses moreover the question whether Regulation 1219/2012, which concerns the investment treaties between EU Member States and non-Member States, actually did clarify their legal status. My criticism refers to the fact that instead of giving highest priority to the problem of general incompatibility, the Commission dealt first with specific examples of incompatibility. Such concrete examples relate for instance to the exclusive prerogatives of the Council to regulate capital movements under Article 64(2) TFEU or Article 75 TFEU. The Commission’s diplomatic strategy has placed the cart before the horse i.e. the specific prerogatives of EU institutions before the protection of the foundation of the EU law. Moreover, the incompatibility can damage the effort of establishing a level playing field for the outbound investments. 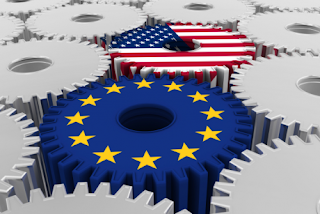 The investors from the Member States having no BITs with countries like Chile, Japan, Korea, Canada or most recently, the U.S.A. will not enjoy the same level of protection not being able to escape certain restrictions imposed by the relevant FTA. The general incompatibility entails a high level of complexity, therefore it cannot be surprising that such intricate consequences have occurred. Investment protection was the main tool for economic reconstruction during the post-WWII era, which constituted the dominant function of the Friendship, Commerce and Navigation treaties (see the Vandevelde paper in the notes). The next big event was the signing of the GATT in 1947, which marked the shift from bilateral to multilateral negotiations and an expanded scope of talks beyond tariffs. The GATT and the EEC (now-a-days, the EU) – founded in 1957 – contributed to deeper economic integration among Western countries, thus substituting and surpassing the Friendship, Commerce and Navigation treaties subsequently seen as less than ideal vehicles for trade promotion. The network of BITs emerged as means to ensure investment protection outside the ambit of the GATT and the EU. The overlapping between BIT protection and EU law has not been intentional. As mentioned above, the Commission took the initiative of signing a MoU with the U.S. government being aware of the existence of incompatibilities between the European BITs and EU law. Areas of law, which have been specifically named in the MoU are: the economic freedoms, state aid rules and the obligations imposed by the EU treaties in relation to third countries. Article 351 TFEU, which governs the relationship between EU law and the pre-existing treaties between Member States and non-EU States, gives expression to the obligation of the Member States to eliminate all incompatibilities with EU law resulting from extra-EU BITs. Then again, the Treaty of Lisbon does not overtly consider the status of the intra-EU BITs. Article 4(3) TEU may be nonetheless useful for this purpose. Some arbitral tribunals interpreted Article 351 TFEU as inferring paradoxically a more lenient regime for the intra-EU BITs. By not opening earlier infringement proceedings or not explicitly placing the intra-EU network of BITs outside the law, the EU institutions did – according to the arbitral tribunals – tacitly endorse the intact validity of these BITs and the jurisdiction of the arbitral tribunals for that matter. The contrast between alter- and outer legality is of the essence, since the ISDS exists as an alternative to, not a substitute for, the domestic judicial system. From a purely legal perspective the situation of double standards covering areas of law defining the very foundation of the Union – the economic freedoms and the transjudicial dialogue based on sincere cooperation and mutual trust – are direct threats to its political integrity and the autonomy of the EU legal order. The risk of jeopardising the autonomy of the Union legal order is the consequence of an extant parallel international order that does not have to bring its rulings in line with the interpretation of EU law adopted by the CJEU. It must be mentioned as well that usually the conceptual conflict between international law and EU law relates to the contradiction between reciprocity and the EU federal principles of autonomy, conferral and subsidiarity. However, the legal regime represented by the European BITs has been characterised by asymmetry being designed to protect the interests of investors from the capital exporting countries against the whims of the unstable governments in the capital importing countries. This is why, there are not many BITs signed between pre-2004 member states and the focus of the Commission has been initially set on the BITs signed by an acceding state with third countries. The transition from the pure intergovernmental set of rules to a more federal agenda engendered legal discrepancies, negative interlegality and significant costs for the parties directly involved in these disputes. However, on the state-to-state level, it is obvious that the EU accession of the capital importing countries to the CEE provided a more substantial and comprehensive safeguard for the capital exporting countries in the North-western Europe than a BIT would ever be prone to afford. It is difficult to support the argument of practical significance of BITs in the constitutional framework of the European Union by using legal terms. The only persuasive argument is the protection of legal certainty of the investment regime within the EU, though the strength of it has only been tested by the arbitral tribunals against the VCLT (Articles 59 and 30 of that Convention). The conflict of laws assessment has constantly reached the conclusion that each BIT has not been displaced by the EU treaties. The Vienna Convention does neither bind the Union nor all its Member States. It has relevance only as a reflection of the rules of customary international law, which are binding upon the Union institutions and form part of the Union legal order (see CJEU judgments in Racke, El-Yassini and Jany). From this point forward the matter becomes one of harmonious interpretation, a method which requires a deferential attitude towards the legal identity of the challenger. The ECtHR for instance follows the jurisprudence of the CJEU and the opposite is true, even if no binding agreement has been signed and no hierarchic structure has been crystallised between them. In its Opinion 2/13, the CJEU did not agree to assign the power to interpret EU law provisions to the final adjudicator in matters of human rights – the ECtHR – affirming once again that the interpretation of EU law must remain the exclusive prerogative of the Union supranational judicial authority (see the discussions on this blog by Peers and Barnard). So, how could someone expect the CJEU to agree with a transfer of powers to a non-judicial and temporarily constituted entity, which is ineligible to refer to the CJEU for a preliminary ruling under EU law? (see the judgments in Pretore di Salo, Pardini and Corbiau) How could it be possible to do that without contradicting itself in the assessment of a fundamental matter? As van Harten says: “The powers shifted to arbitrators are among the highest that any adjudicator can exercise. They involve the final determination of the legal boundaries of sovereign authority, as exercised by any legislative, executive, or judicial body, based on broad standards of foreign investor protection. They can lead to the assignment of potentially vast amounts of public funds to private actors, usually large companies. They are backed by an international enforcement system that is more powerful than that of domestic or international courts. They are subject to very limited judicial review or no judicial review at all, depending on the arbitration rules under which the foreign investor chooses to bring its claim”. The possibility to obtain damages for state or supra-state non-contractual liability within the EU is narrowly defined, thus in a similar situation of (for example) expropriation without compensation, an investor under a BIT agreement would enjoy a higher degree of protection being able to obtain substantial damages as underlined by van Harten above. So should the same enhanced level of protection be granted to all investors no matter if their situation is covered by a BIT or not? In Eureko the claimant declared explicitly that it preferred to use the arbitration solution offered by the BIT instead of the judicial path offered by the EU system and the arbitral tribunal recognised that a higher level of protection is guaranteed under BIT-regime. T-TIP: Will the cart be placed on the spot? While the Council believes that the new legal framework should contain the pre-existing investor guarantees in BITs, and the Commission also supports ISDS, the EP has moved towards opposing it in its present form, asserting in 2013 that future EU investment agreements should include an ISDS-clause, only if it were justifiable in the light of a case-by-case assessment. At the most recent EP consultations, Bernd Lange – rapporteur on TTIP for the EP’s international trade committee (INTA) – affirmed exultantly: “We have placed the extrajudicial arbitration in the dustbin of history. It is clear that private tribunals have no future in trade agreements. And we will work on a new system, which corresponds to a public court”. Kleinheisterkamp and Poulsen proposed in their turn three distinct patterns for investor protection in the T-TIP. The first choice – no greater rights – corresponds to the American trade policy adopted by the 2012 US Model BIT. The second pattern – the Australian ISDS model – matches the proposal of most Committees of the European Parliament being characterised by default reliance on domestic courts supplemented by state-to-state dispute settlement and institutionalised consultations concerning the domestic regimes of investor protection. The third pattern would be in tune with the European Union constitutional structure as to the choice to allow primarily the domestic courts to decide on the legality of public acts, then it reflects the American philosophy with regard to binding state interpretations and filter of frivolous and obviously unmeritorious claims (see Tietje and Baetens, in the notes; compare to the Bipartisan Congressional Trade Priorities and Accountability Act 2015, p 14). The possibility to review the legality of state measures at the level of domestic courts would enable them to refer for preliminary ruling, which is key for the constitutional autonomy of the EU. In this sphere, flexibility and consistency must go hand in hand and perhaps the Europeans could extract some relevant knowledge from the developments accumulated by the United States during the past three centuries. A comparative historical study could be a beneficial groundwork for achieving an improved insight into the matter of trade agreements authority. As the EU-BITs array of contradictions perfectly shows, despite its apparent political cleverness, the strategic move of putting the cart before the horse would be an unfortunate decision as regards the T-TIP negotiations. Kenneth J. Vandevelde, ‘A Brief History of International Investment Agreements’ UC Davis Journal of International Law & Policy 12, no. 1 (2005): 157, 165-166. Christian Tietje and Freya Baetens, ‘The Impact of Investor-State-Dispute Settlement (ISDS) in the Transatlantic Trade and Investment Partnership’, 26 June 2014, p. 127. Compare with the Bipartisan Congressional Trade Priorities and Accountability Act of 2015 (TPA-2015), p. 14. Firstly, congratulations for your interesting post. Given that, as your rightly observe, foreign investors under a BIT agreement might enjoy a higher degree of protection than under EU (or domestic) law, the question then arises whether he same enhanced level of protection should be granted to all investors, no matter if their situation is covered by a BIT or not.